We will be looking at the history and paranormal activity of a great old location. This fort has a great history spanning several periods when the purpose changed. I have a personal attachment to the fort. My family used to have our family farm near the location. My father often played upon her walls and in the casements. They used to have solders who were stationed there during WWII come over for Sunday dinners. The farm is no more, as the city of Philadelphia chose to take it for the International Airport in the 1950‘s. The solders have left they were gone not long after the farm was paved over. Fort Mifflin itself remains, wedged between the river and the airport. There are others who remain as well, as we will discuss later. 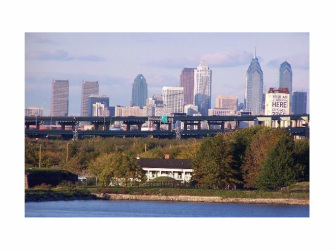 Even though the City of Philadelphia was founded in 1681, she had no fortifications. The Quakers who settled here did not believe in force of arms. The Quakers sought to make peace with the Native Americans in the area to avoid the need for fortifications. While other colonies suffered from conflict and warfare, Philadelphia prospered. By 1771 was the richest and most prosperous city in the British North American colonies. She had extensive shipyards and a more cosmopolitan outlook by this time. At the confluence of the Schuylkill and Delaware rivers there stood Mud Island, a naturally defensible location. Construction started in late 1771 right on the eve of the Revolutionary war. of the British cannonballs can still be seen in her walls to this day. Although the fort saw no further military action, she served her country in numerous ways after she was rebuilt in 1793. She was improved and expanded throughout the early 1800’s. During the Civil war, confederate prisoners of war were housed in the casemates of the fort and in barracks. In 1864 a union deserter was imprisoned in casemate#5 named William Howe. He had become sick during the Battle of Fredericksburg, deserted the army and had returned home to his wife. Two bounty hunters broke into his home and he killed one adding murderer to deserter. He was imprisoned in the cells holding the other prisoners of war. Later he attempted to lead a prison escape of 200 men from Ft Mifflin. He briefly was consigned to Eastern State Penn, before returning to solitary confinement in casemate #11. Despite his illiterate condition he wrote two letters to president Lincoln for clemency. They were to no avail as he was hanged for murder on 26th of august 1864. His scrawled name appears in the graffiti in casemate #11 to this day. After the civil war the fort was upgraded and improved. There was a torpedo casemate build in 1874/75. This caused the entrance to casemate #11 to become blocked and fade from memory. The little fort on mud island became a sleepy backwater of daily drill and duty. In 1923 the marine barracks held the first recorded USMC birthday dance. During WWII the fort was again fully manned to protect nearby assets by marines, anti-aircraft batteries, and coastal artillery. Fort Mifflin is still used as an active base by the United States Army Corp of Engineers. This means the fort is currently the oldest active military base in the United States and the only base in use that pre-dates the Declaration of Independence. 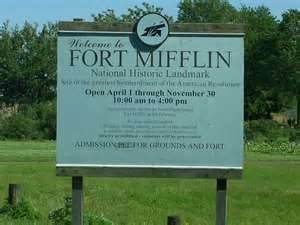 In affect Fort Mifflin is the only military base in use that is older than the nation itself. In 2006 Wayne Irby rediscovered and unearthed Casemate #11 at Fort Mifflin. Doctor Don Johnson and a small group of volunteers that August uncovered and rediscovered the complexity of the inner rooms and the trove of historical artifacts inside the Casemate. Paranormally this is significant as much of the activity in centered around this location. Mifflin have claimed to had odd experiences with their electrical equipment, including flashlights turning on and off, and brand new batteries dying unexpectedly. Others have noticed windows and doors opening on their own. Many groups have investigated this location. Some of them are leaders in the field, others are local paranormal groups. The location holds guided ghost hunts and can be rented out by groups for the night. One of the more interesting investigations by a non paranormal group was by Rodney Anonymous of the band the dead milkmen. Rodney had actually slept in Lizzie Borden house and was reputed to be “ not afraid of anything” The trio of investigators had numerous experiences including Rodney’s dog refusing to enter certain areas and frequent battery drains. They had a heavy recorder in a locked room get flipped over to it’s side in the officers quarters. Rodney reportedly left before the night was over. The screaming woman has sometimes been described in differing ways Some claim the voice is old,, some young and others in-between. She has been especially associated with the Officer’s Quarters. The Philadelphia police have been called out on numerous occasions in response to her loud blood curdling screams. I have heard these screams at 3am on a cold febuary night during an investigation. I was deep in casemate 5 checking into some odd movements and forms caught on the DVR system. The screams were so loud I had thought something horrible happened at the Teams base area. We quickly realized the screams came from the an area that was near the officers quarters near a body of water. We were unable to find anyone in these areas. The screaming woman has often been identified as Elizabeth Pratt. Pratt was the wife of a local officer who disowned her daughter for falling for running away with a soldier. When the daughter contacted typhoid fever, the two never had time to reconcile before the disease took her life. After being heard to sob for a week, a distraught Pratt hung herself in the officers quarters from the second floor balcony. However Anthony L Selletti of “Fort Mifflin: A Paranormal History” says the true story is that Elizabeth Pratt’s husband a US Army Sergeant and her infant son and daughter, Elizabeth, lived in a shack inside the fort. The son died in 1802 The daughter died in 1803 of yellow fever. Elizabeth Pratt herself died in 1803 also from yellow fever. The desperate screaming of a mother that lost 2 children in 1 year is what is heard in the fort at night. discovered the body of a loved one broken and bleeding. There was no sobbing just a bone chilling heart stopping wail of horror. Some have seen a man sewing in casemate# 5, but when he looks up, his face is gone. This is thought to be William Howe, although he may have been held here for some time before the escape attempt, he is historically identified in casemate #11. Casemate #5 also has the spirit who seems attracted to blond women, often touching them. There is the presence known as “the lamplighter” that has been spotted walking around carrying an oil-burning lamp, although all the lights inside and outside the fort, are electric. Supposedly identified as Joseph Adkins. In the area of the Powder Magazine, there is a very friendly spirit that enjoys interacting with the visitors of the area. He is dressed in Revolutionary War period apparel. Many individuals believe that he is actually an employee and he offers detailed tours of the fort. He actually answers questions, jokes, and loves to socialize. The office states that there is no such employee that dresses in this manner or offers the same tours that this spirit offers. However, guests believe that he is quite real. There are several reports of ships docked at the fort. The ships appear to be old time sailing vessels for the most part. There is a ghostly figure who has been spotted walking alone down the road to the fort’s gate. Dubbed the “the Sad- Looking Man” he disappears without a trace upon reaching the gate. The former blacksmith shop is home to the ghost of an old blacksmith known only as Jacob. His ghost is sometimes seen inside the building. Jacob apparently liked to keep the doors and windows open, however the commandant wanted them shut. Apparently the argument continues to this day with the doors and windows opening and shutting themselves at random. Also the rhythmic clash of hammer against anvil often is heard, only to stop as people come to the shop to investigate the noise. These stories have been around since before the fort was turned into a museum. Some people have also claimed to interact with a person dressed in an old military uniform. It isn't until they ask the staff about him that they learn there is no one doing living history there. No supporting evidence has yet been uncovered of any Jacob residing at the fort. consistently replayed. It’s energy imprinted on space and time. Same with the smells and other sensory experiences. The ghost ship, the sad man and the lamplighter seem to fall into this category. The screaming woman could also be residual haunting as she does not seem to interact with the living. There appear to be active entities in casemate #5 and #11, Besides the faceless man, the ones in number #5 appear to be the most aggressive, and ones in 11 seem to want to be left alone. There may be several entities who only interact when they get a trigger - like a blond woman walking into the space. The blacksmith could be a poltergeist entity as he can affect matter. The tour guide is an apparition( a ghost that has intelligence). Survival theory speculates that a part of the human survives death of the physical body.